We service all brands of garage doors and operators. 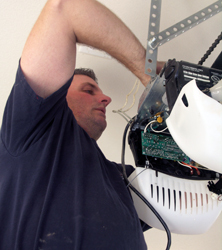 Keeping our business goal in mind, of providing the best products with the best service for the best price, we have selected Liftmaster as our garage door openers. LiftMaster is the leading opener on the market today and also offers the best value. There are a few different models to choose from depending on your needs.